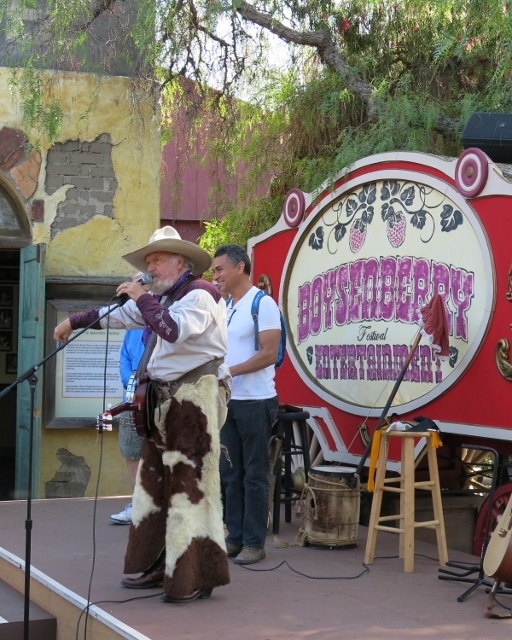 The Knott’s Berry Farm’s Boysenberry Festival is returning to its roots March 28-April 12 in the famous historic Ghost Town and you won't want to miss it! This food festival that many compare to the OC Fair, entices your taste buds with everything boysenberries. Have you tried the boysenberry turkey legs? It is my family's favorite! Thanks to GigaSavvy, my family was invited to come tickle our taste buds with all the delicious treats. All opinions are my own and I hope that you enjoy it as much as we do! The festival includes entertainment from sun up to sun down with; dueling fiddlers, Jammin' in the Dark, Peanuts Party in the Park, vine dancing, swing dancing, live music and more all included in the admission to the park. Did you know that the boysenberry is a cross between the loganberry, red raspberry and blackberry, and named the new berry after its originator Rudolph Boysen? It was harvested by Walter Knott in the 1930's and we have been enjoying it ever since! Knott’s Berry Farm will once again make delicious history with the debut of its very own farm-made Berry Market Boysenberry BBQ Sauce during the Boysenberry Festival. During the food fest, the tangy, delicious sauce will add the perfect flavor to ribs, BBQ chicken, chicken wings, and so much more. Other must try Boysenberry Bites include fried cheese curds paired with a spicy boysenberry dipping sauce, fish and chips sandwich with boysenberry tartar sauce, Boysenberry ICEE Floats, Boysenberry Frappuccino and Latte, and more charbroiled treats cooked on open-air barbeques throughout the streets of the festival. As part of the festival, the Wine and Craft Brew Garden, located inside of Ghost Town’s Wilderness Dance Hall, will feature an assortment of wine and craft brew labels, in addition to a variety of boysenberry inspired gourmet food that’s just bursting with flavor. You can even bring home the tasty sauce by stopping by the Berry Market, General Store in Ghost Town or by visiting knotts.com. The Boysenberry Festival also features an extensive line up of live entertainment from sun up to sun down. At the heart of all of the excitement is Birdcage Square, located in front of the famous Birdcage Theatre. Here, a stage will be set for daily contests like pie eating, a pie walk, and Grandpa’s Boysenberry PJs Contest, where guests will race to stuff the oversized long johns with balloons. In the evening, the Square will have guests kicking up their heels with vine dancing, a down home jug band and dueling fiddlers and banjos! At night, just inside of the Birdcage Theatre, things get krazy when Krazy Kirk and the Hillbillies mount their toe tappin’, knee-slappin’, gut-bustin’ country comedy show that will have audiences clamoring for more! New for 2015, right up the road from Birdcage Square, kids can join the classic Bear-y Tales characters in their very own pie making kitchen inside of Ghost Town’s Craft Barn. With the help of Razz Bear-y, Boysen Bear-y and the other Bear-y family members, each beautifully painted scene will follow the world famous boysenberry from field to blue ribbon winning pie! The pint sized chefs can also make their very own delightfully sweet boysenberry tarts complete with a crumble topping. Additional cost applies for tart making. The iconic Charleston Circle fountain transforms into a beautiful floral fountain, adorned with colorful flowers and boysenberries creating an iconic centerpiece for the celebration. Located in the Boardwalk area, the stunning monument will serve as a dramatic backdrop for two spectacular interactive shows. Peanuts Party in the Park celebrates spring in a big way with infectious music, vibrant set design, and an invitation for the audience to be a part of the show! After sundown, Jammin’ in the Dark will transform the blooming circle into an immersive dance party complete with illuminated boysenberries, vines and LED lighting effects affixed to the Charleston fountain; DJ HowLy will spin the hottest dance music for all ages. The boysenberry celebration is almost too much fun to stomach! Springtime fun has also taken root in Camp Snoopy, Fiesta Village and Boardwalk. During the limited-time event, the whole family can meet the Easter Beagle in his new home, blooming with colorful springtime décor, nestled inside of the recently rejuvenated Camp Snoopy area. The meet and greet location is the perfect place for shareable moments with the boisterous beagle and his friends – Charlie Brown, Lucy, Sally and Linus. In Camp Snoopy Theatre, Lucy’s Really BIG Spring Show will showcase the Peanuts pals singing, dancing, and celebrating springtime. The theater will be filled with the sweet sound of little ones as they singing-along to the to the show’s cheerful tunes! Guests don’t have to be experts at the cha-cha-cha to enjoy Salsa Dancing in Fiesta Village, where everyone can to take to the floor to the rhythmic beat of popular Latin dance music. 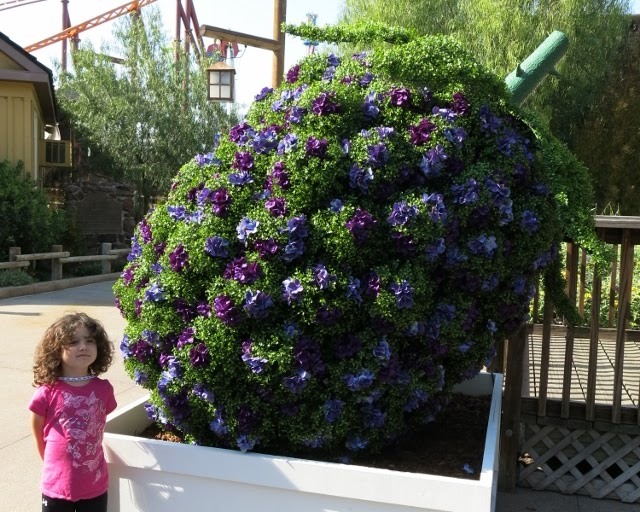 Knott’s Berry Farm’s Boysenberry Festival is included with admission to Knott’s Berry Farm, additional cost for food tasting experiences within the event. Knott’s has extended hours from 10am to 10pm during the Festival March 28 – April 12, 2015. Tickets are valid during the limited Boysenberry Festival event (March 28th through April 12th 2015) only. To enter the giveaway, please use the Rafflecopter widget below. The winner will be notified via valid email address and will have 24 hours to respond before prize is forfeited. Kirstin Rowe and SoCal Kids Outdoor Adventures are not responsible for lost, stolen or unfulfilled prizes. US Residents only. DISCLAIMER: My family will receive tickets to enjoy the Festival although all thoughts and ideas are my own. Do not use any photos without permission. I have a relationship with GigaSavvy for whom I work with, not brands mentioned in this post. Their fried chicken at the chicken dinner restaurant! My favorite is the fried chicken! I love their funnel cakes. I like the fried chicken. I have always loved the Boysenberry punch! I want to try the boysenberry jam and pie. I like the funnel cakes. All the boysenberry food looks so yummy too! I love Knott's fried chicken. I love their jams but I would love to try the boysenberry Frappuccino!! We love Knotts!! One of these days we'll try the fried chicken restaurant!